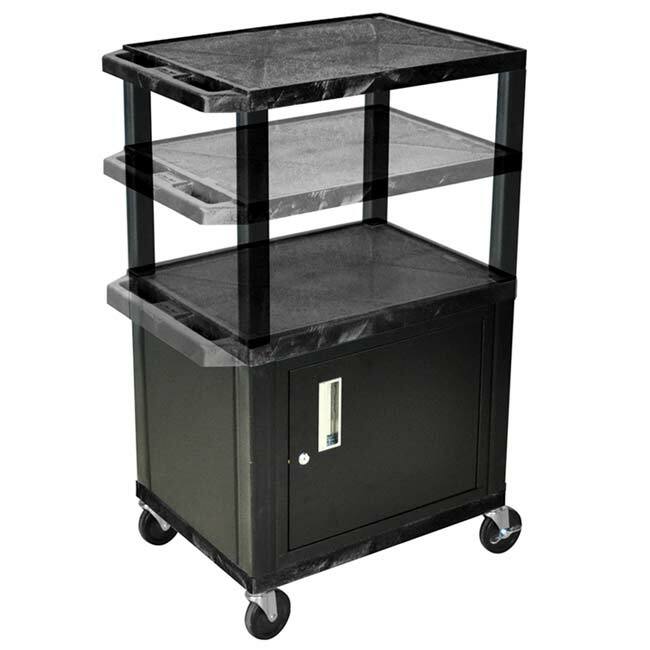 Tuffy Plastic Utility Carts w/ Cabinet by Luxor are ideal for the users to keep the items and move around. They come in a range of 12 attractive colors to match the room décor. Electrical assembly are included on this model. Injection-molded thermoplastic construction prevents warping, cracking or rusting. Optional Big wheel kit is available for purchase. 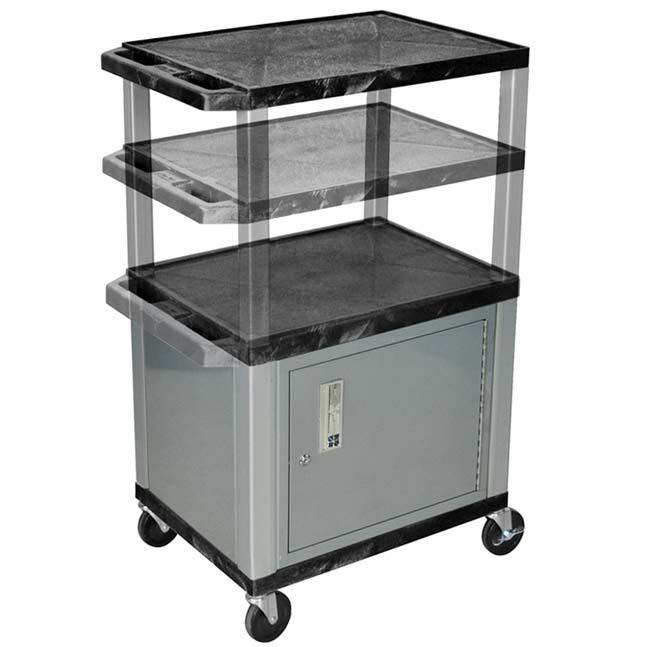 Cabinets are made of 20 gauge steel and includes a lock with a set of two keys. 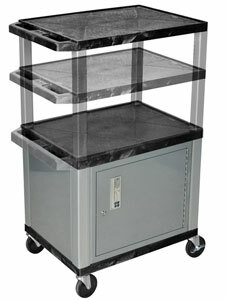 Cabinet Door clearance is 13 1/2"H x 17"W. Black legs come with black cabinets. Nickel legs come with nickel cabinet. 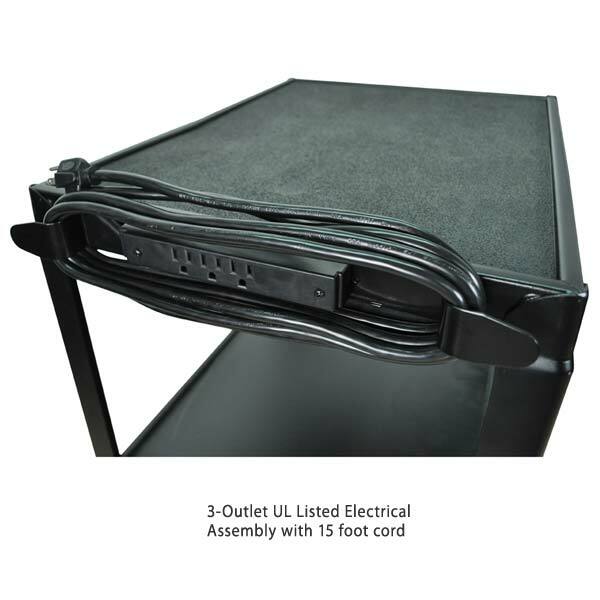 Includes three shelves and multiple leg sizes that can be assembled in heights from 26" to 42"